There are four distinct species of whales that scientists have come up with to identify them. While there are plenty of subgroups and breakdowns within them, this gives us a basic framework for the process. You are likely very familiar with both the baleen and the tooth species. There are certain characteristics that help to figure out if a whale is baleen or not. They biggest characteristic is that they won’t have any teeth. Instead they offer you plates that take in large sums of water. These plates are a complex filtering system and so the water gets pushed back out while they food remains for them to consume. There are quite a few large sized whales in this category. Many people often confuse the males and females though as the females are larger. You will find whales in this category that have two blow holes but most of them will only have one. If you see any with two you know it isn’t a toothed whale as all of them only feature one. Toothed whales are those that do have teeth that they use for consuming food. They are very sharp. Tooth whales often swallow their prey whole so they don’t always need the use of these teeth to eat. If they are consuming something that is extremely large they will use them to bite of huge portions and then to swallow them. It is believed that there are many more of them though that will one day be discovered. While finding older remains like that is fascinating, there is another way that whales can find their way onto this list. With the continued destruction of many of the great whales, many are on the list of endangered creatures. It won’t take much more for some of them to end up on the extinct list if we aren’t careful to preserve them and to increase their numbers. Even with efforts in place now, we are at risk of many types of whales moving from the toothed or the baleen category into this one. The last category of whale species are the unconfirmed. These are ones that simply don’t seem to fit into the other three categories. Yet there aren’t enough of them to make its own category. 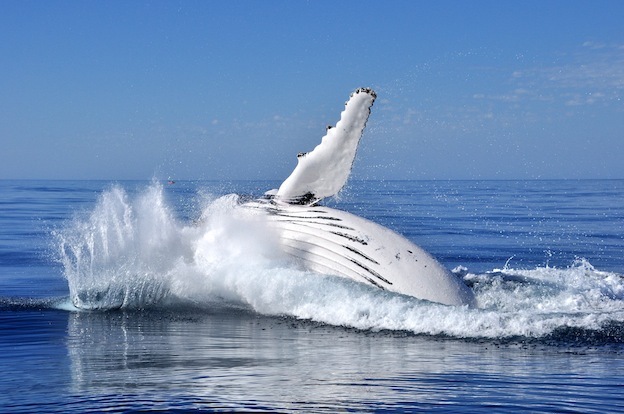 You should explore some of these listings though for some great adventures when it comes to whales. The most fascinating one has to do with the bloop. They haven’t been confirmed as they have never been seen. However, advanced technology has allowed sounds to be picked up underwater. It is believed to be from whales but it can’t be verified due to the location of those sounds. They were first heard in 1997 and can still be picked up today. Only time will tell if this is an accurate theory or not. Another is the Gambo which was something of interest in late 1983. The carcass of something washed up onto a beach. A young boy with is family noticed it and was fascinated by it. He drew pictures of it because he didn’t have a camera with him. When he didn’t find what it was in books he searched through it was believed he had found something very unique. However, the remains of it couldn’t be located. Local villagers spoke of the head being removed and sold. Then the rest of the carcass was buried. Efforts have been made to find that burial location in case it does exist but so far nothing has been found.